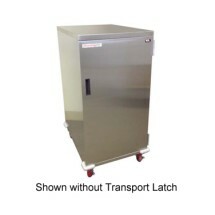 Meal delivery carts will keep food at the desired temperature for delivery to hospital rooms, nursing home patients as well as in correctional facilities. 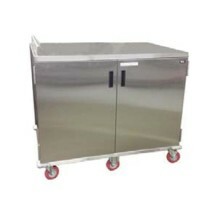 These quiet food delivery carts roll effortlessly along the floor and have soft bumpers to protect facility walls. They are available in many configurations to accommodate different numbers of trays of different sizes. Carter-Hoffmann ESDTT16 Economy Patient Tray Cart, Single Door, 16 Tray Capacity Sold As: 1 ea You're pre-approved for a cash advance! Carter-Hoffmann PSDST6 Performance Patient Tray Cart, 6 Tray Capacity Sold As: 1 ea You're pre-approved for a cash advance! 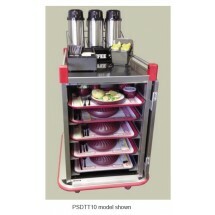 Carter-Hoffmann PSDST8 Performance Patient Tray Cart, 8 Tray Capacity Sold As: 1 ea You're pre-approved for a cash advance! 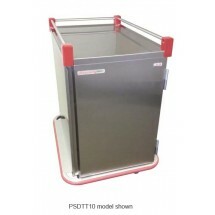 Carter-Hoffmann PSDTT10 Performance Patient Tray Cart, 10 Tray Capacity Sold As: 1 ea You're pre-approved for a cash advance! Carter-Hoffmann PSDTT12 Performance Patient Tray Cart, 12 Tray Capacity Sold As: 1 ea You're pre-approved for a cash advance! Carter-Hoffmann PSDTT14 Performance Patient Tray Cart, 14 Tray Capacity Sold As: 1 ea You're pre-approved for a cash advance! Carter-Hoffmann PTDST10 Performance Patient Tray Cart, 2-Door, 10 Tray Capacity Sold As: 1 ea You're pre-approved for a cash advance! Carter-Hoffmann PSDTT16 Performance Patient Tray Cart, 16 Tray Capacity Sold As: 1 ea You're pre-approved for a cash advance! Carter-Hoffmann PTDST12 Performance Patient Tray Cart, 2-Door, 12 Tray Capacity Sold As: 1 ea You're pre-approved for a cash advance! Carter-Hoffmann PTDST14 Performance Patient Tray Cart, 2-Door, 14 Tray Capacity Sold As: 1 ea You're pre-approved for a cash advance! Carter-Hoffmann PSDTT18 Performance Patient Tray Cart, 18 Tray Capacity Sold As: 1 ea You're pre-approved for a cash advance! 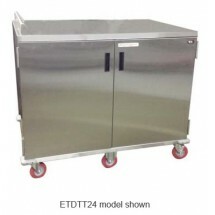 Carter-Hoffmann ETDTT24 Economy Patient Tray Cart, Two Door, 24-Tray Capacity Sold As: 1 ea You're pre-approved for a cash advance! 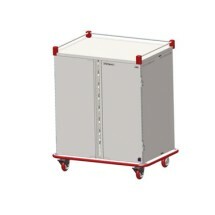 Carter-Hoffmann PSDTT20 Performance Patient Tray Cart, 20 Tray Capacity Sold As: 1 ea You're pre-approved for a cash advance! 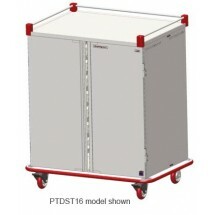 Carter-Hoffmann PTDST16 Performance Patient Tray Cart, 2-Door, 16 Tray Capacity Sold As: 1 ea You're pre-approved for a cash advance! Carter-Hoffmann PTDST18 Performance Patient Tray Cart, 2-Door, 18 Tray Capacity Sold As: 1 ea You're pre-approved for a cash advance! Carter-Hoffmann PTDST20 Performance Patient Tray Cart, 2-Door, 20 Tray Capacity Sold As: 1 ea You're pre-approved for a cash advance! 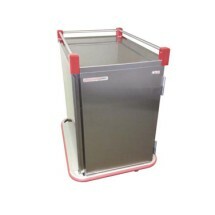 Carter-Hoffmann ETDTT28 Economy Patient Tray Cart , Two Door 28-Tray Capacity Sold As: 1 ea You're pre-approved for a cash advance! Carter-Hoffmann PTDTT20 Performance Patient Tray Cart, 2-Door, 20 Tray Capacity Sold As: 1 ea You're pre-approved for a cash advance! 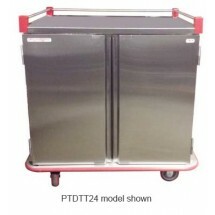 Carter-Hoffmann PTDTT24 Performance Patient Tray Cart, 2-Door, 24 Tray Capacity Sold As: 1 ea You're pre-approved for a cash advance! Carter-Hoffmann PTDTT28 Performance Patient Tray Cart, 2-Door, 28 Tray Capacity Sold As: 1 ea You're pre-approved for a cash advance! Carter-Hoffmann PTDTT32 Performance Patient Tray Cart, 2-Door, 32 Tray Capacity Sold As: 1 ea You're pre-approved for a cash advance! Carter-Hoffmann PTDTT36 Performance Patient Tray Cart, 2-Door, 36 Tray Capacity Sold As: 1 ea You're pre-approved for a cash advance!